As a practical companion for instructors, the Einfach gut! Deutsch für die Integration A2. Teacher’s Manual is an essential resource that supports lesson planning for integration courses. It includes useful tips and various ideas for reaching lesson objectives in A2.1 and A2.2 level classrooms. The Einfach gut! Deutsch für die Integration A2. Teacher’s Manual gives an overview of the coursebook’s structure and rationale, guides instructors through the coursebook’s units by providing detailed instructions each step of the way, suggests additional activities and variations, and offers tips for testing and practicing pronunciation. Instructors teaching mixed-ability classrooms will find ideas for responding to individual learners’ language needs more effectively. The Teacher’s Manual also includes an answer key and transcriptions of the coursebook’s audio files. Conceived as a practical companion for instructors teaching integration courses, this teaching manual offers essential guidance in lesson planning, including useful tips and additional ideas that help meet classroom objectives. 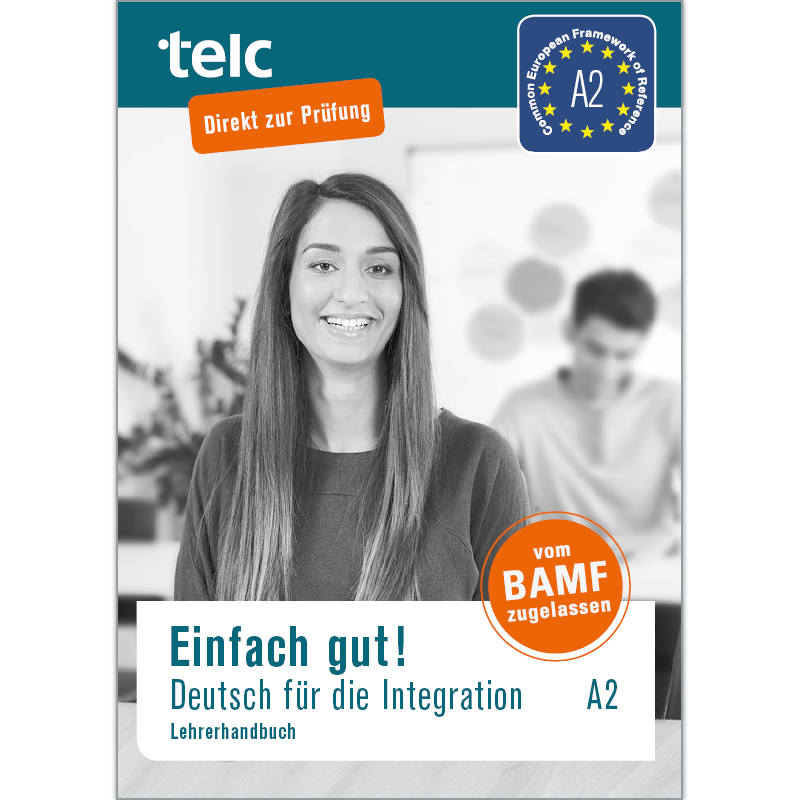 telc gGmbH is a nonprofit organization that provides support to immigrants striving to build a new life in Germany. Current information can be found on: www.telc.net/einfach-machen.